Editor’s note: This report contains graphic descriptions of fatal injuries sustained by a child. BAINBRIDGE, Ga. (Bloomberg) -- A trial set to begin today in a south Georgia town is renewing demand for a massive recall of older Jeep models whose fuel tanks lawyers argue are prone to catch fire in accidents. Safety advocates say the case may put Fiat Chrysler Automobiles at risk of a scandal on a par with General Motors’ faulty ignition switches. Jurors are poised to view grisly evidence of the death of 4-year-old Remington Walden in the back seat of a 1999 Jeep Grand Cherokee in June 2012. The SUV erupted in flames after being rear-ended at an intersection as his aunt drove him to a tennis lesson. The family’s lawyers say the boy died screaming in a fire so intense his chest fused to the Jeep’s door. They said a medical examiner determined the child, strapped to a booster seat, was probably alive in the flames for as long as a minute, with the position of his body showing he died struggling to get out. Worse, they allege in court filings, the carmaker knew of the danger -- caused by the fuel tank’s placement 11 inches from the rear bumper -- and ignored it for years. There is “no evidence that Remi survived for any significant period after the fire started,” Fiat Chrysler said in court papers, citing an autopsy. Fiat Chrysler Automobiles NV, owner of the Jeep brand, has said this Jeep and others are “absolutely safe.” The National Highway Traffic Safety Administration initially investigated the 1999 Jeep model involved in the Walden case and included it in a broad recommended recall. In 2013, the agency decided to exclude it from a recall covering two other models made over 15 years. Regulators for more than a year had probed why fuel tanks in some Grand Cherokee and Liberty models were rupturing and almost instantly igniting in rear-end collisions, killing or severely burning occupants before they had a chance to get out. 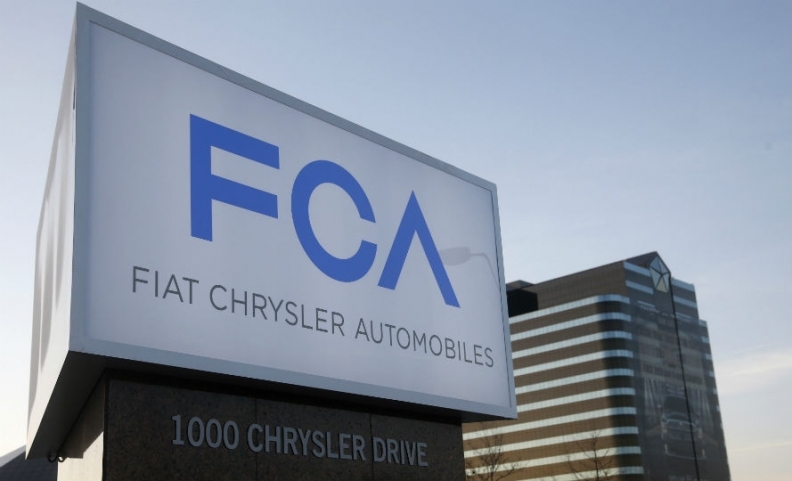 Fiat Chrysler contends the vehicles in question aren’t defective and exceed federal standards, including for fuel tank safety, said Michael Palese, a spokesman for the automaker. The recalled vehicles are even safer after the addition of a tow hitch that helps protect the gas tank, it says. “A thorough analysis of rear impact crash data indicates that the vehicles in question are no more likely to experience fire as a result of a rear impact than peer vehicles,” Palese said. A preliminary finding by the National Highway Traffic Safety Administration sought a mandatory recall of 2.7 million Jeeps whose tanks were located less than a foot from the back bumper. That put the tanks well within the 2-foot “crush zone” identified during the carmaker’s own crash tests, the Waldens said in court papers citing internal Chrysler documents. At the time, NHTSA said that by locating the gasoline tank between the axle and the bumper, rather than in front of the axle, the company made the vehicles less safe. Fiat Chrysler fought the recall. Instead, CEO Sergio Marchionne said in a deposition, he met privately with Ray LaHood, then the U.S. Department of Transportation secretary, in June 2013 to resolve the issue. The automaker voluntarily added tow hitches to about 1.5 million vehicles. NHTSA eventually accepted the proposal and closed the investigation, saying the fix produced “safety benefits to increase the fuel tank system integrity.” The models that were subject to the NHTSA probe are among the safest in their peer groups, Fiat Chrysler has said. By the time the accord was reached, fires like the one that killed the Walden boy had caused 75 fatalities since 1998, according to government data. Deaths are still occurring, safety advocates say. In November, a 23-year old pregnant woman was burned alive after her Jeep was rear-ended in a Detroit suburb, not far from Fiat Chrysler’s U.S. headquarters. The company wasn’t required to admit to any design defects under the deal, and more than 1 million Jeeps that were part of the initial probe -- including the Grand Cherokee in which the Walden child died -- weren’t recalled. The Walden family and some safety advocates argue that drivers of recalled Jeeps are still in danger because the tow hitches will only help in low-speed crashes. “The fix was never a fix for the real problem,” said Sean Kane, who heads the consulting firm Safety Research & Strategies Inc. in Rehoboth, Mass. Kane said he discussed the case earlier with the Walden family’s lawyers and isn’t involved in it now. The limited recall also raised concerns about the closeness of the regulating agency to the carmaker, said Clarence Ditlow, executive director of the Washington-based advocacy group Center for Auto Safety. The lead negotiator for NHTSA in the deal went to work for one of Fiat Chrysler’s law firms after the accord was reached. Ditlow said he would use any verdict against the company in court to try to force NHTSA to reopen the investigation or expand the recall. The carmaker continues to say the affected models, from 1993 to 2007, are safe even without the tow hitches. Jeep fuel tanks were moved away from the crumple zone starting in 2005. Fiat Chrysler contends the driver of the pickup truck that struck the vehicle carrying Walden is to blame for the accident. Robert Betts, a lawyer for that driver, didn’t immediately respond to email and phone messages after regular business hours Monday seeking comment on the trial. Fiat Chrysler is taking a big risk by going to trial with the Waldens instead of settling, as it has done in other cases over Jeep fires, according to Kane. The Jeep recall has received less attention than other auto safety issues because regulators and politicians have been focused on GM’s delayed response to a fatally flawed ignition switch. Marchionne, the architect of the merger that created Fiat Chrysler after the latter’s bankruptcy, was ordered in November to submit a videotaped deposition in the case. In it, he repeatedly said the disputed vehicles are “absolutely safe.” He said Chrysler’s bankruptcy doesn’t protect the new company from lawsuits. Marchionne also said in the deposition that one of the company’s lawyers on the case is Erika Jones, former chief counsel for NHTSA. Ditlow says that’s another example of the “revolving door” between auto industry regulators and carmakers that can lead to questionable decisions. The executive’s testimony will figure prominently in the case, one of the first trials since the accord, Ditlow said. Claims of collusion between the government and the carmaker will be a focal point of the trial, including details of the meeting that led to the limited recall, he said. In January, 18 months into the recall, NHTSA’s David Friedman, called the slow pace of repairs “woeful” and demanded that Fiat Chrysler executives do more to reach owners of the affected Jeep Liberty and Grand Cherokee models. Fiat Chrysler has said it’s moving as quickly as possible given the challenge of finding owners of vehicles that are 7 to 20 years old. A verdict in favor of the Waldens will probably encourage others injured or the families of those killed to sue, making a wave of lawsuits the biggest risk for Fiat Chrysler, rather than a new probe, said Carl Tobias, a law professor at the University of Richmond in Virginia. “Other cases around the country in similar situations and with similar allegations might benefit from a jury verdict,” Tobias said. The Waldens argue there is ample evidence that Fiat Chrysler was aware of how dangerous the placement of the fuel tanks was. Chrysler advertisements from as far back as the 1970s describe the safety benefit of placing fuel tanks in the “midship” region of vehicles, where they won’t be crushed, the plaintiffs said in court papers. In a deposition in December, Judson Estes, a Fiat Chrysler engineer, said that during crash tests for the Grand Cherokee, Chrysler moved electronic testing instruments out of the back 24 inches of the vehicle because they were damaged in the collisions. Estes agreed the fuel tanks were vulnerable. “Would you agree with me, sir, that what happens to the occupants of a Grand Cherokee sold by Chrysler is more important than what happens to Chrysler’s crash test instruments?” asked Jim Butler, the family’s lead lawyer. “Yes, what happens to people is more important than what happens to electronic instruments,” Estes said. Some of the clearest warnings may have come from Chrysler’s own customers, who alerted the company in letters years before the Walden child died. One such letter, sent by the mother of a crash victim who barely escaped her Jeep before it exploded after a rear-end collision, said she feared for others. “I can only imagine how horrible a situation it would be, if a driver had to remove a child from a car seat, or could not get out of the car within moments,” the woman said, according to a copy of the letter in court papers. After Walden’s aunt escaped through her driver’s side window, bystanders had to hold her back from running to the flames, according to court filings, while other witnesses tried and failed to reach the child.